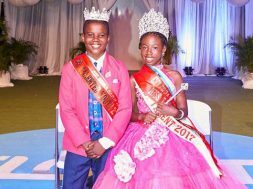 THG Network (July 31, 2017) — What seemed like a tight race turned out to be a comfortable victory for Ky-manie Browne and Darica Jeffers of the St. Thomas’ Primary School, this year’s Mr. and Ms. Talented Youth. The charismatic and clear-speaking duo sent the crowd into a frenzy when they first appeared in the Creative Costume Segment. 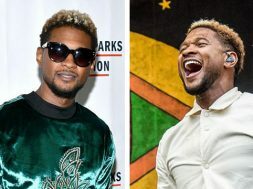 Dressed in bright colours, Ky-manie and Darica paraded the stage with confidence and appeared to be having fun at the same time. Other outstanding performances in that segment came from the Ivor Walters Primary School, which placed 2nd Runner-Up overall; the Joycelyn Liburd Primary School, which had a theme based on “following the stars” throughout the pageant; and Samuel Clarke and Sheniel Rodney of the Charlestown Primary School, whose costumes demonstrated excellent craftsmanship. 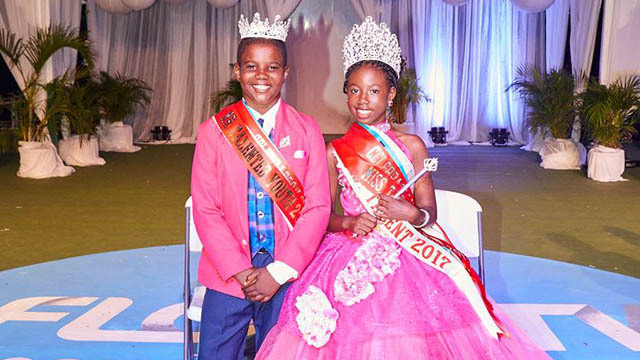 In the pageant’s second appearance, Talent, the Ivor Walters Primary School’s Dakari Browne and Jahniya Wilkin seemed to be the crowd’s favourite as they presented a dramatic piece followed by a song. They, however, were no match for the St. Thomas’ Primary School, which copped the Best Talent Award as well. They presented a dramatic piece and culminated with a hard-hitting calypso. By the final appearance, audience members had already started predicting the winners. 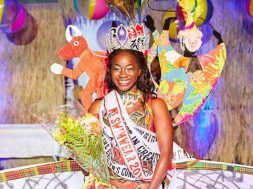 While their predictions varied, their top schools seemed to be the St. Thomas, Ivor Walters, Joycelyn Liburd and Charlestown Primary Schools…turns out, they were correct. 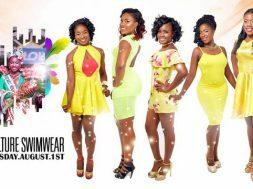 Winners, the St. Thomas’ Primary School copped three segment awards: Best Sponsor Appreciation Video (108.5 points), which was pre-judged; Best Creative Costume (104 points); and Best Talent (247 points). The Best Evening Wear Award went to the St. James Primary School. Eldon Liburd and Shante Hendrickson copped the First Runner-Up Award. 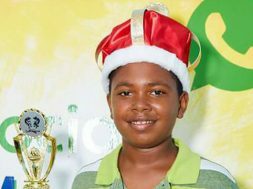 Placing Second Runner-Up was the Ivor Walters Primary School and the Charlestown Primary School placed Third Runner-Up. Other schools in last night’s contest were Nevis Academy and the Violet O. Jeffers Nicholls Primary School.